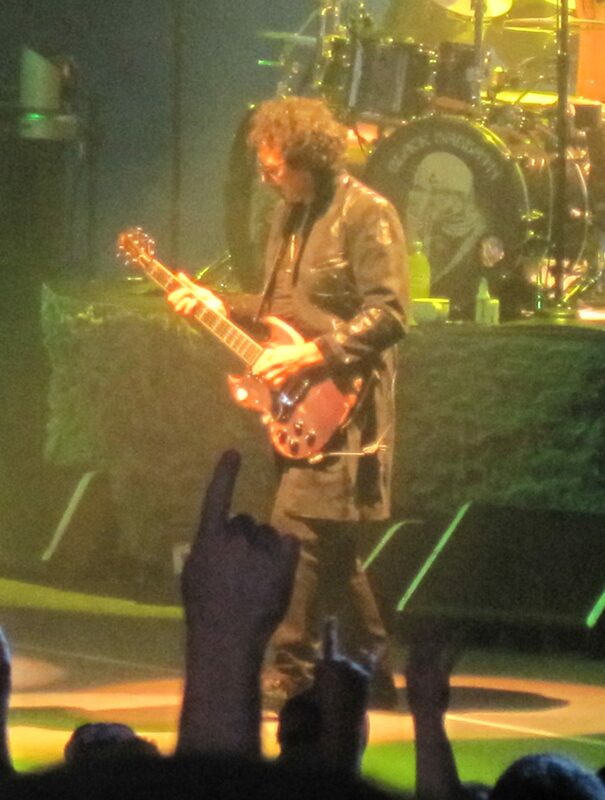 Editor’s Note: My husband Brian writes his first Stratton Setlist blog post about Black Sabbath’s final Detroit area show in Clarkston, Mich. Wednesday night. Black Sabbath displays “The End” tour logo. 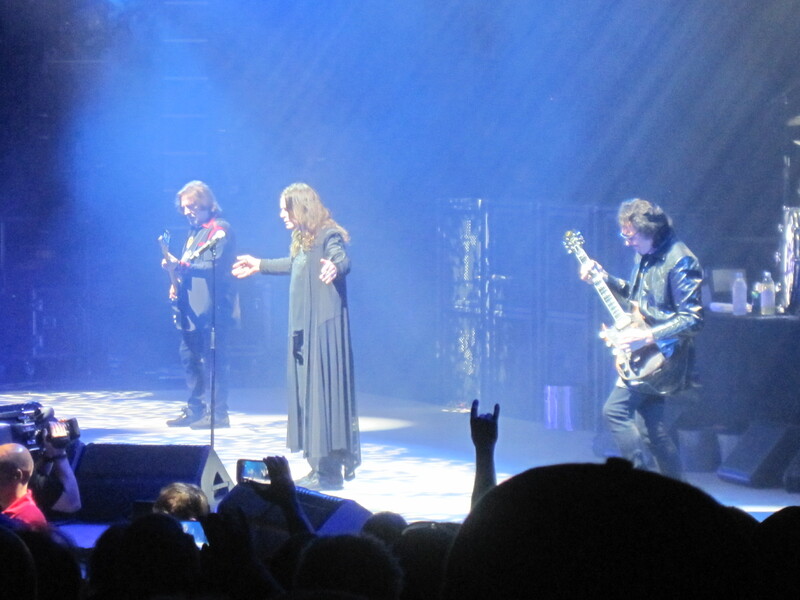 “Is it the end, my friend?” sang Ozzy Osbourne during the opening song of Black Sabbath’s final show in metro Detroit. Sadly, it was the end, but it’s hard to say goodbye, especially to old friends. Six years ago, I had to say goodbye to Ronnie James Dio, and last year, I most likely said goodbye to Rush. And now it was time to say goodbye to Black Sabbath. I’ve been a fan of Black Sabbath since middle school. My brother had introduced me to Led Zeppelin and Rush, and I loved them both, but Black Sabbath was the first band I had claimed as my own. They felt like a secret that my friends and I shared, and we had fun exploring and debating the different lineups. Was Ozzy era Sabbath better, or the Dio material? What about the Tony Martin incarnation of the band? The truth was I loved all the lineups. Black Sabbath was like a saga that kept going on and changing over time, and they never disappointed. As that young fan, I daydreamed about seeing the classic lineup of Geezer Butler, Tony Iommi, Ozzy Osbourne and Bill Ward. I even made a collage out of the cardboard CD boxes (remember those?) from the Ozzy era albums and hung it on my bedroom wall. However, by the time they had reunited around the turn of the century, we had drifted apart, as friends sometimes do, and I never got around to seeing them. Luckily, my wife’s passion for music in 2009 rekindled my own. I jumped at the opportunity to see the Dio lineup of Black Sabbath, now dubbed Heaven and Hell, both times they came to Detroit. After Dio’s passing and the ensuing reunion of the classic lineup, I was finally able to make amends for not seeing them before. I made my middle school-self proud, seeing them not once, but four times over the last several years. But this time at DTE Energy Music Theater would be the last. 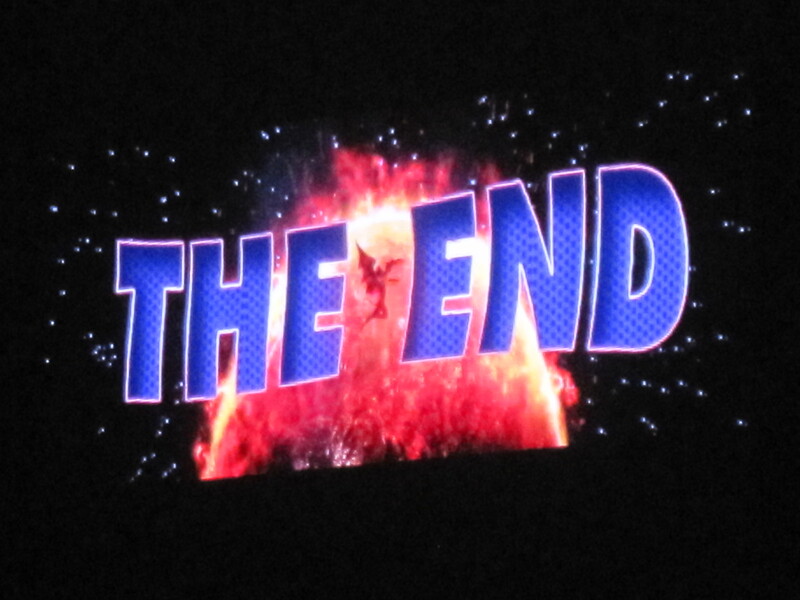 Black Sabbath was calling it quits after this tour, appropriately called “The End,” was over. Tony Iommi performs at DTE Energy Music Theater in August 2013. What followed was a 90-minute set filled with hits and fan favorites. Geezer’s fingers were a flurry over the bass, his head nodding to the heavy rhythms. Iommi, who could often be seen smiling at the crowd, played his signature Gibson SG with a subtle reserve that belied the ferocity of his riffs. Ozzy, whose vocals sounded better than they have in years, was in typical form, encouraging the crowd to raise their hands and yelling, “I can’t hear you,” repeatedly. Tommy Clufetos, the relative newcomer on the drums, pounded away with a primal intensity, and his drum solo was a welcome departure from the hits. Their setlist almost exclusively included songs from their first four albums. The sole exception to this was a brief journey to Technical Ecstasy’s “Dirty Women,” where Iommi took the spotlight for an extended guitar solo. The band was having a good time, and so was the crowd. This was a special moment, the last time we would see Black Sabbath, and the last time they would see us. Geezer Butler, Ozzy Osbourne and Tony Iommi play Wednesday night in Clarkston, Mich.
At one point, Ozzy got more serious than usual, and said that yes, this really was the end of Black Sabbath. Or, at least, the end of this version of Black Sabbath. Iommi has hinted he wants to reissue the Tony Martin era Black Sabbath albums, and possibly record some new songs as well. Dare I hope that this lineup might tour as well? Who knows, but for the moment I was relishing seeing Black Sabbath perform their iconic, early material one last time. After all, when you’re at the end, isn’t it nice to go back and relive the beginning? Brian–nice piece, man. I’m glad we got to see the boys in the band a couple years back. Hope to see some more musical musings from you!